This weekend YoYo Players 'wind up in Chico'. Its the spiritual home of American Yo-yoing. Home to the national Yoyo Museum, 20years + of national contests and more than a handful of national champions. It's back after a 2 year 'experiment' in Los Angeles and is in the midst of change. It has already been announced there will another USA Nationals contest held BEFORE the World YoYo Contest meaning this years contest will not be seeding. This year Chico is also close to 100% booked out. Nothing available under $175 a night. Its Oktoberfest, it might be something else.... town is busy... this isn't the regular Chico regular attendees know. The structure of the contest has also changed. Instead of 1 day in the park for seeded only players its now open . Turn up, you could win. Its over 2 days now too, 3 if you could the Sunday FUTURES contest. Whether its these factors, lack of interest, or just lower general interest the number of participants registered is way down. At last look the 5 championship divisions were expecting 67 competitors total. Its lucky the seeding rules changed as without the change there would have been under 20 contesting 1A. It isn't to say the level of competition is expected to drop one bit. in 4a, 3a and 1a, the defending champions are back. In 2a and 5a, it looks like new national champions are guaranteed of being crowned. From a YoYoFactory perspective, Gentry is seeded to finals, Chandler and Evan are in Semis, Nate starts in prelims with Shutter crew members Hunter, Joey and Angelo.. Ryan and Josiah start in wildcard repping Shutter Crew along with Kevin Nicholas. There are going to be a LOT of new finalists, its not going to be any easier to win but this will be a different Nationals. 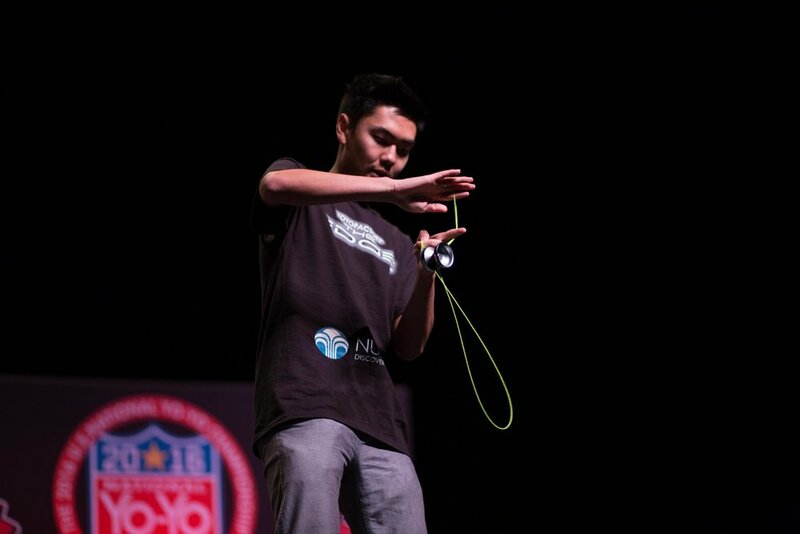 YoYofactory will be reporting LIVE from the contest. Check here on yoyofactory.com and on our facebook page for the latest news!